With numerous No. 1 radio singles, multiple Dove Awards including New Artist of the Year and touring accolades that include Casting Crowns, MercyMe and Chris Tomlin, it would be easy for Tenth Avenue North to get caught up in the success of being an artist. However, since their last album Cathedrals (2014), the group has reached an epiphany that puts all of those stats to the side. "Over the last year as we started working on this new album, it became clear that most of the themes of these songs point to where we are in our lives right now eight years after our label debut,” states Donehey. “We have settled into that maybe God isn’t as interested in the success of our career as He is about the posture of our hearts and what would it look like if we lived every day of our lives the way God commanded. One of the most repeated commands in the Bible is ‘Do not be afraid,’ and the one thing we know is that God does not want us to follow Him in fear." “It’s a pleasure to work with a band who can innovate musically while continuing to deliver a message that’s so in tune with what’s happening in the world today," shares Terry Hemmings, Provident Music Group President and CEO. 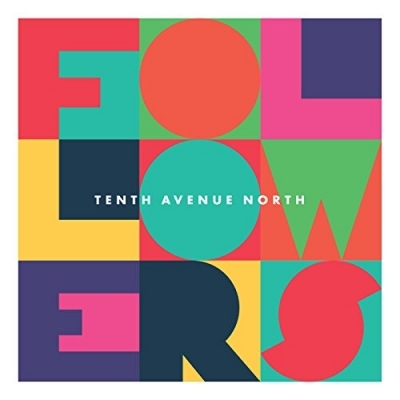 "Tenth Avenue North has, once again, delivered a record that speaks truth straight to the heart of the listener.” After finishing out the summer with festival tour dates, Tenth Avenue North will head out on their "What You Want" tour in October.